What Kind of Wood Flooring Is Best For My Home? What Kind of Wood Flooring Is Best For Your Home? How can I change the look of my home? Is there any single thing that I can replace to make my home look amazing? These are the questions you discuss yourselves or with family members or close friends when you get bored with the old appearance of your home. Yes, it is possible to bring out a big and good change in your home by just replacing the floor. Replace the concrete floor with the wood floor. Basically, there are three types of wood flooring i.e. solid wood floors, floating wood floors, and engineered wood floors. But, the selection of wood flooring is made on two bases i.e. where in the home it is being used and the level of abuse it will take. 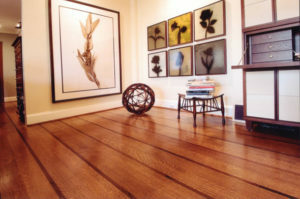 Solid wood flooring lasts for more than 50 years and its finish is long lasting. Engineered wood flooring is considered more stable than solid wood, because it is less susceptible to contraction and expansion due to change in humidity in the air. If you are interested to know more about latest trends, styles, and pros and cons of wood flooring in the city, our real estate agents can help you out in the best way. They regularly update themselves with hot fashions and styles.